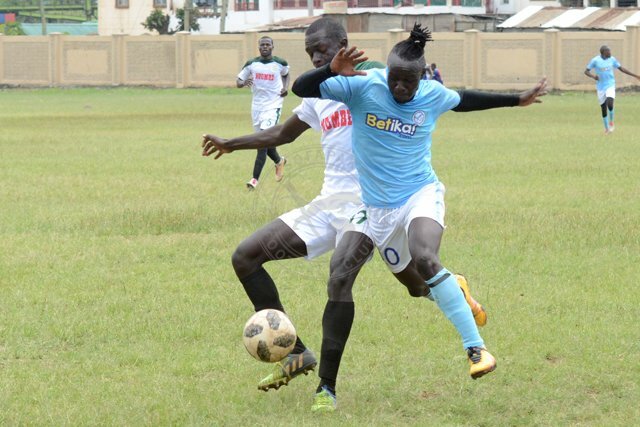 Second half goals from Rwandese Justin Mico and Elli Asieche saw Sofapaka beat Premier League rivals Mathare United 2-1 in a friendly match played at the Goan Institute on Wednesday afternoon. Mathare had gone ahead in the first half through midfielder Chris Oduor who swept home a cross from Daniel Mwaura. However, Sofapaka rallied back in the second period and they restored parity when Mico slotted home from the penalty spot after a handball inside the box. Asieche then grabbed the win for Batoto ba Mungu with a header from close range after Faina Jacobs headed back to the edge of the six yard box a Tom Adwar corner. This was the last friendly match for Sofapaka ahead of the new season which kicks off on Sunday with an away tie against Mount Kenya United at the Kenyatta Stadium in Machakos. Coach Melis Medo says he is happy with how his team is building up and notes they are almost ready for business. “So far so good. I liked the character of the players today when they came from down and that shows some growth in the team. We are playing well and as a unit and I think we are ready for the season. Everyone looks sharp,” the tactician added. He will use the final two days of training to polish on a few tactical areas.